At least that’s what they say. I thought I’d try out the Scooms duvet myself and decide how it really is. Because it’s still the heatwave outside I slept under the 4.5 tog and had one of the most comfortable night’s sleep I’ve had in a long time. The other 9.5 tog is sitting in the carry case that comes with the duvet and will absolutely be taken out as the summer heat disappears and we move into winter. My body seems to have no ability to regulate its own temperature, a slight hint of warmth outside and I’m sweating through the night then come winter I seem to be freezing again which is why I need to get the right duvet. So let’s dive into this review and see what’s what. I liked pretty much everything about the Scooms duvet, everything mentioned above plus it’s just really comfortable. That’s why it topped the list of my best duvet recommendations! They’ve really ticked all the boxes for everything you need in a duvet, care has been taken, no corners have been cut and a lot of thought has gone into making sure this is, in fact, the perfect duvet. I love that the filling has individual pockets and I really love the clips that let you put the two duvets together. I had a double duvet when I was younger but they weren’t attached so they’d end up each side of the cover and I’d be in the middle freezing cold only under the empty bit in the middle. I feel embarrassed to even mention but I feel worse leaving this blank, but the clips to separate the duvets were a bit stiff. There I said it, it’s the most minute complaint ever and I don’t even want them to change it because having them stiff means the duvet will definitely stay together. UPDATE: So it turns out I was using them wrong… They are in fact poppers when I thought they were normal buttons… My bad turns out they work fine, I’m the one that doesn’t work. 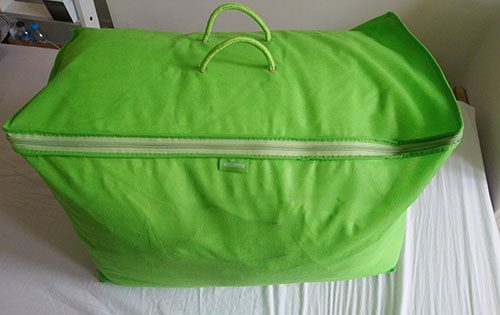 There were also a couple of things about Scooms as a company I liked, for every 15 duvets sold they donate one to a Glass Door which is London’s emergency winter housing charity. They also take care to make sure that the process is kept clean, for instance, they make sure the down is cleaned with spring water, not chemicals. Delivery is free (always a plus) and next day with DPD. You also get a 60-night trial to try it out and if you don’t like it you can return it for a full refund. Just Click Here to go to Scooms website and order yours today! I mean… As technical as you can get with a duvet. 1. What Duvets Are Available. They have one type of duvet which you can buy as a 4.5 tog, 9.5 tog or the all season which is both duvets. Buuut they have the all-important part dual duvets need, clips! They have these buttons which let you attach both duvets together making a really snug 13.5 tog duvet, but more on the clips later. Scooms Duvets are filled with Hungarian goose down, which is certified by the Responsible Down Standardwhich means the geese are kept to the highest standard. When dealing with down ethically sourcing it is really important to me so I was pleased to see that was the case. Hungarian down is great because it is in fact very cold in Hungary(surprise surprise). So the geese have naturally evolved to have down and feathers that are perfect at holding heat while still being breathable for maximum comfort. 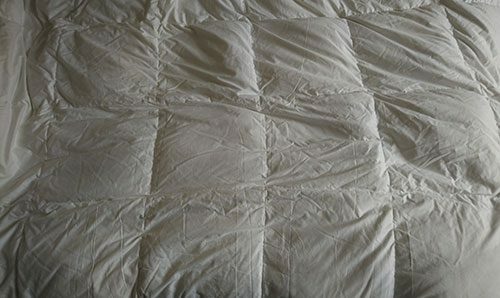 Goose down is also lighter than duck down which can be quite heavy and suffocating in a duvet. I’m an asthma sufferer so again being an allergy-friendly duvet is hugely important. The scooms duvet is certified to have been treated to become dust mite resistant and allergy free. Another tick! Another really important duvet feature is the individual filling pockets, this stops the filling bunching up and keeps the duvet even and actually helps it last longer. The cotton cover has a 300 thread count which is higher than a lot of bed sheets! Almost feels a shame to put a duvet cover on it. The cotton is much more breathable than polyester keeping the whole thing much more comfortable through the night. Now the all-important question, where can you get one! Just click the button below.